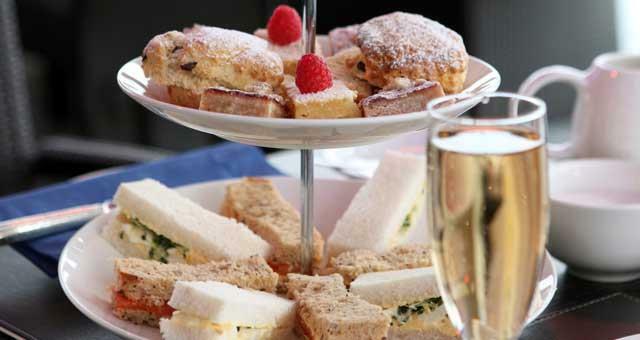 Afternoon Tea at The Imperial Hotel at The Imperial Hotel01493 842000work Coffee Morning/Afternoon TeaEnjoy afternoon tea on The Terrace with views of the sea or relaxing in Bar Fizz. Afternoon Tea includes finger sandwiches (smoked salmon, egg & cress), a fruit scone with whipped cream and preserves, a selection of afternoon tea fancies, macaroon and tea or coffee. 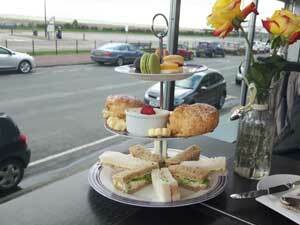 Enjoy afternoon tea on The Terrace with views of the sea or relaxing in Bar Fizz. Or add a glass of champagne for £20 per person. On approaching Great Yarmouth follow the signs to the seafront. With Sainsbury's on your left, turn left at the traffic lights, the go straight over at the next cross road. At the mini roundabout turn left. The Imperial Hotel is approximately 300 yards along North Drive opposite public tennis courts and Venetian Waterways. There is a regular local service from Norwich to Great Yarmouth. With connecting trains from Norwich, Liverpool Street. Peterborough, Cambridge and Ely.